The BBC’s disabled security correspondent has spoken of his wish for a “normalisation of disability” in society. 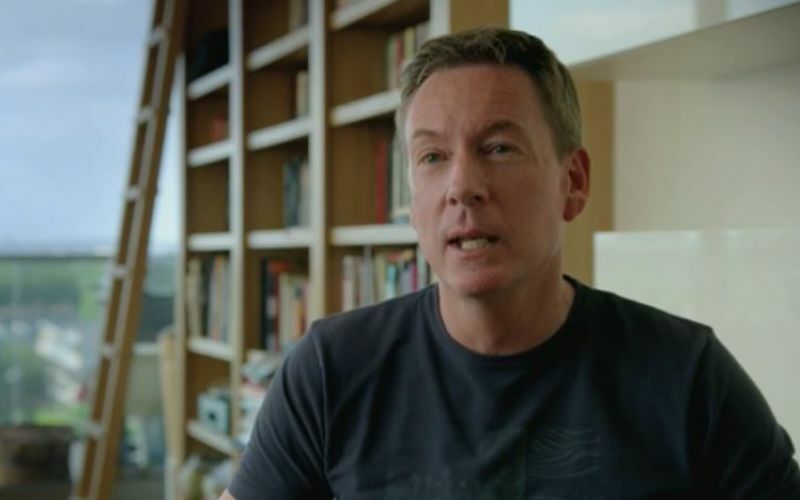 Frank Gardner, who was giving the third annual Jack Ashley Memorial Lecture, said he would like to see “the sharp edges of difference” between disabled and non-disabled people “sand-papered down so people don’t make a big deal about it anymore”. Gardner (pictured when he featured on the BBC’s Who Do You Think You Are?) told the invited audience in the state rooms used by the speaker of the House of Commons, John Bercow, about many of the daily experiences of discrimination that have frustrated him since he became disabled 12 years ago. He described his continuing frustration with the barriers he encounters with air travel, including the ground staff who often grab him by the shoulders without asking in order to “manoeuvre” him off a plane, and how he is frequently left alone waiting for assistance at the end of a flight, long after the other passengers have disembarked. Gardner said that many of the problems he faced were due to the “attitude” of service-providers, and that there were “a lot of areas where life could be made easier without too much difficulty”. 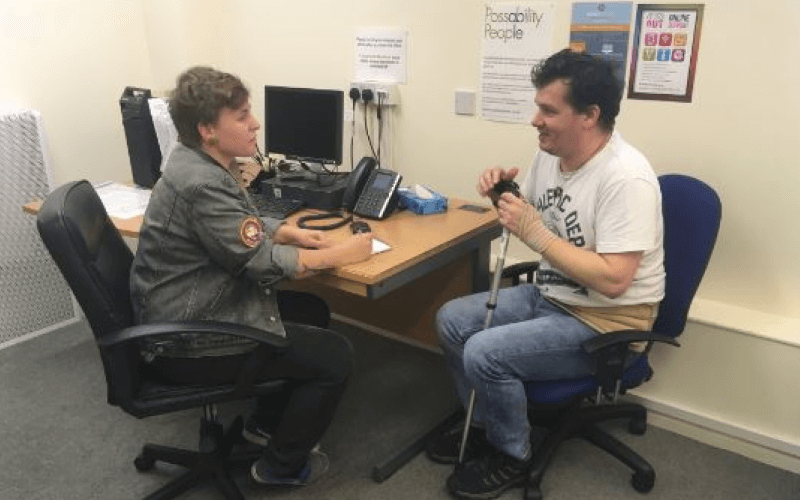 He also spoke of his frustration at non-disabled people who use accessible toilets, and the abuse of accessible parking bays in central London by non-disabled drivers. He said: “For me there might as well not be a single disabled parking spot in central London because I can never find them. Gardner spoke also of how he became disabled, having been shot six times and left for dead by terrorists in Saudi Arabia in 2004, and how he then spent seven months in hospital and underwent 14 operations. He said that two things particularly helped him avoid falling into a “vortex of self-pity and despair”: the advice of a Navy psychiatrist, who told him to worry about the things he could still do and not those he would not be able to do anymore, and a letter from his bosses at BBC News which promised that his position as security correspondent would still be his when he was ready to return to work. The lecture was hosted by Disability Rights UK (DR UK), the all-party parliamentary disability group (APPDG) and the family of the late Lord [Jack] Ashley, the former deaf MP and peer who died four years ago after nearly half a century spent fighting in parliament for disability rights and equality, and who chaired the APPDG for more than 40 years. One of his daughters, Guardian journalist Jackie Ashley, said that her husband, BBC political journalist and author Andrew Marr, who was also at the lecture, had not wanted to be “that bloke with a stroke” after he became disabled, while her father had not wanted to be “that deaf MP”. But she said that they and Gardner had still been “inspirational” to disabled people, and she asked him how he felt about the idea of being a spokesperson for disabled people. Gardner said he did “not want to be associated with one particular thing” and although he did not have “anything against disabled people” he did not want to be a spokesperson for them any more than he wanted to be a spokesperson for people who drive Toyotas, although he said he hoped his work was “an inspiration for other people”. Gardner told her: “That’s why I’m here tonight. I think it’s a good thing to do. I don’t think it’s a duty. Liz Sayce, DR UK’s chief executive, told the audience: “We want everybody to have that chance, if you become disabled, to pursue the life you want, the career you want, as Jack Ashley did and as Frank you have described. She said the programme was producing a “cadre of disabled people” who are becoming role models and mentors for other disabled people.